The third season of SL i-League StarSeries tournament ended a couple of days ago. Team Liquid won the championship. Here, we present the results of this event. Each Dota 2 fan would recall fail of The Shanghai Major 2016 when the games had many delays because of the problems with technical equipment and food that players from Europe and America could not eat. But these were only basic problems as during this Major, devices of one of the teams were stolen from the practice room. DAC championship with $3,000,000 prize pool also had some problems. The competition did not have some delays during matches, and critics’ reviews were quite positive, but the winners of the event received their reward more than in 8 months. The second season of this championship was announced recently, and it will take place in April 2017. The latest fail of China as a host of the big tournaments was WCA 2015. The competition took place in Yinchuan, and the prize pool was $665,000. The players complained about bad chairs, the absence of stage, horrible schedule, smoking in WC, the absence of normal food in the place where the tournament was hosted, low air temperature on the arena, broken earphones and keypads. Also, the winners of the tournament, The Alliance, waited for the reward to be paid more than a year, and the organizers of the event just stopped to answer phone calls and did not reply the messages of team manager. SL i-League StarSeries Season 3 was not so bad, it has almost no technical delays. None of the esportsmen complained about food, equipment or any other factors. The Boston Major ended about 3 months ago, and only 4 big LAN-events were held: Dotapit Season 5, ESL One Genting 2017, WESG 2017 and SL i-League StarSeries Season 3, so Valve representatives watch the teams very attentively to give the direct invites to The Kiev Major 2017 correctly. 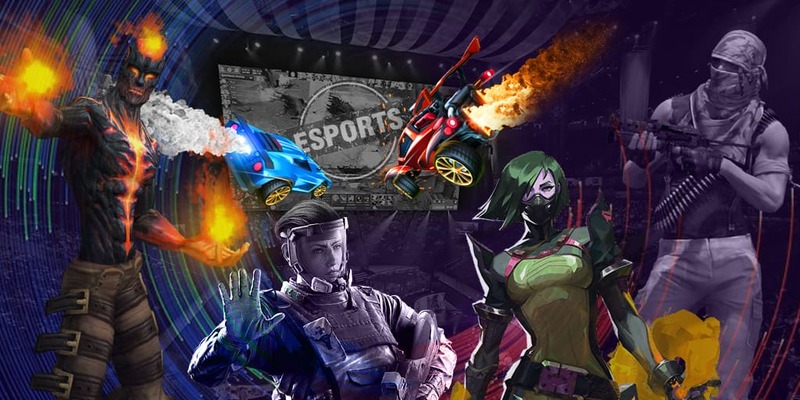 Taking into consideration the previous tournaments, Wings Gaming will hardly receive a direct invite, while Team Liquid guaranteed themselves a place on this event. Also, three time winners of major championship, OG will get a direct event. VG.J also demonstrate a good game, and no one expected that they would took the second place. All other invites depend on the general number of directs invitations. Digital Chaos, TnC Pro Gaming and Newbee have all chances to go to Kiev to participate in this event. The results of the teams are quite obvious although there were some sensations. Digital Chaos disappointed a little bit. It demonstrated good game during the last championships becoming one of the top-4 teams, and won ESL One Genting 2017. One of the sensations of the tournaments is VG.J. The team won Digital Chaos and Wings Gaming during the group stage with 2:0 score, beat OG in play-off series and moved to the final match. This is the only team that managed to fight against Team Liquid. The best player of the tournament is Bai "rOtk" Fan. He is one of the ledendary Dota 2 players, and he demonstrated quite a good game. Due to him, VG.J became the finalists. Perhaps, you will ask why did not we name Miracle, MATUMBAMAN or GH-GOD? These guys always showed a good game during the tournaments, and in SL i-League they acted more like a team than just players. The only thing that was bad in this tournament was observing. The characters could be selected with a mouse, and that prevented from looking on the screen. Also, many moments were excluded from the broadcast. For example, in the third match of grand final, we did not see the swap of thrones. Most of the analysts and commentators had complains about that.